Consider this a beautiful gift to yourself- a deep dive into your vision, intentions, passions and purpose. This will be a safe space to explore, focus and craft an action plan which resonates with your unique vision. It is a chance to connect with your inner dreams and give voice to your intentions. It is a chance to be witnessed and gain clarity of your path ahead. It is a chance to catalyse your creative possibilities. Come away feeling clearer and with a practical plan you can start implementing immediately. Each day is tailored to your needs. 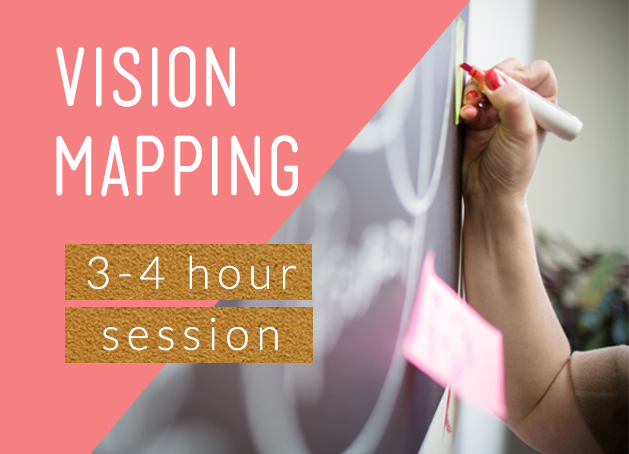 Visioning your Future- a visualisation exercise in crafting your business and lifestyle. Email support for one month. Final one hour follow up mentoring session. *Not in Dublin or Cork but would like me to travel to you? This is possible. Travel costs and additional expenses will be extra. Send me an email and we can plot some beautiful plans. 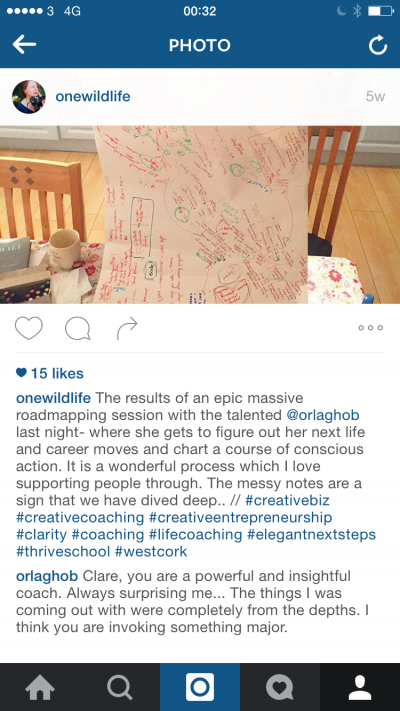 Clare helped me navigate through my head full of ideas that was experiencing overwhelm and therefore lack of clarity. 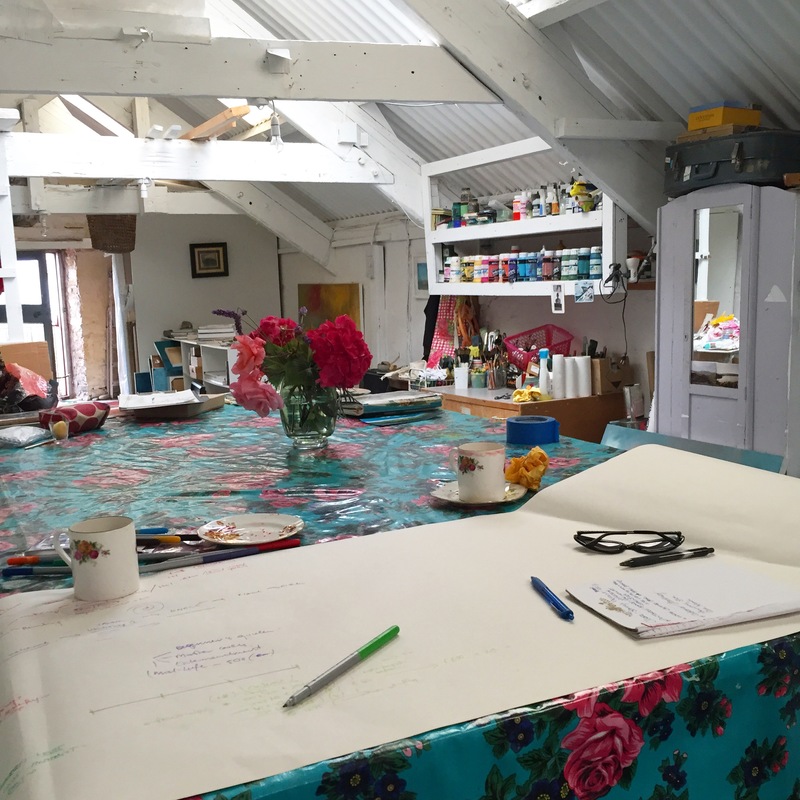 With clever probing questions, Clare helped me get it all out onto (her infamous roll of) paper where I could see patterns, preferences and passions more clearly. 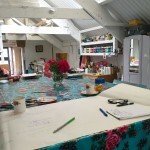 I loved that Clare left me with some simple assignments and tools so that I could develop new patterns of working and explore and manage my creative ideas further on my own with confidence. I found the accountability to Clare afterwards really helpful in keeping me focused and on track also, something often missing from the professional development of a freelancer! 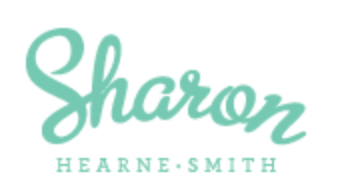 Finally, I am so grateful to Clare for providing a safe and supportive experience which allowed me to dive deep with confidence- Sharon Herne-Smith, TV chef and cookbook author. 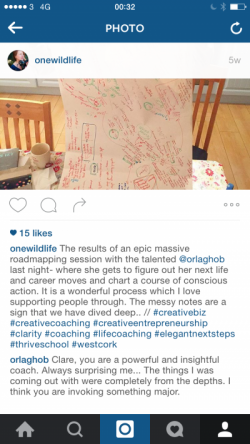 Working with Clare has been a huge help in steering and steadying my creative business.